During the school holidays we offer Pony Rides most weekdays, for children from the age of 3 years. Weather permitting, the children will ride round the fields on their pony. We will ride in groups of no more than 5 children, and each child will be lead by their own individual leader, who will walk beside them on foot. School Holiday Pony Rides take place at different times each day depending on other activities at the centre. Please call us on 01245 358116 for availability and to book. Our maximum weight limit for pony rides is 8 stone. 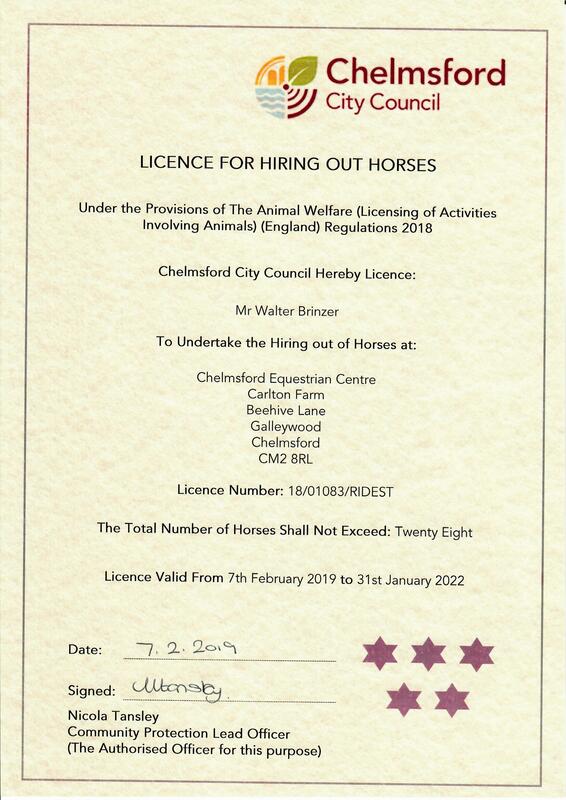 Come and join us to start to experience what it’s like to own your own pony. Help to groom your pony and tack him up, ready for your ride. After the ride you can help to un-tack your pony and put him back in his stable. 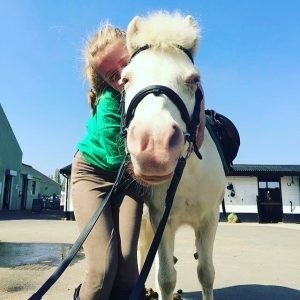 A 45 minute Pony Experience costs £35 – or £29 each for 2 children, and includes a 20 minute Pony Ride. These can be booked at any time on weekdays during the school holidays, but availability is limited as it depends on other activities going on at the Centre. Our maximum weight limit for a 45 minute Pony Experience is 8 stone. Please call us on 01245 358116 for availability and to book. 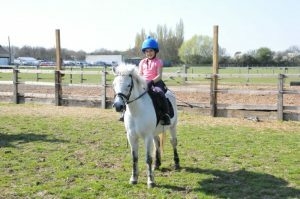 A 60 minute Pony Experience costs £47 – or £40 each for 2 children, and includes a 30 minute Riding Lesson. These can be booked at any time on weekdays during the school holidays, but availability is limited as it depends on other activities going on at the Centre. Our maximum weight limit for a 60 minute Pony Experience is 11 stone. Please call us on 01245 358116 for availability and to book. For children aged 4-6 we offer our regular Tiny Tots Rides. Tiny Tots Rides are held on Tuesdays and Wednesdays at 16.00, and Saturdays and Sundays at 09.00 and 14.00. Tiny Tots Rides are £14 each. Please call us to check availability and to book. Not Seen Anything that Suits Your Child? Just give us a call and there is a pretty good chance we can tailor something that meets your requirements and matches your child’s level of experience.